Natalya Lepleiskaya is just the sort of person today's Russia needs — a successful young IT manager who does charity work in her free time. But frustrated by what she describes as the corruption and stagnation around her, she and her husband are packing their bags to start a new life in Canada. "I don't see how I can change things … and I don't want to waste my youth on it," said the 29-year-old, who moved to Moscow from a provincial city several years ago and rose to a senior position at a top technological company. 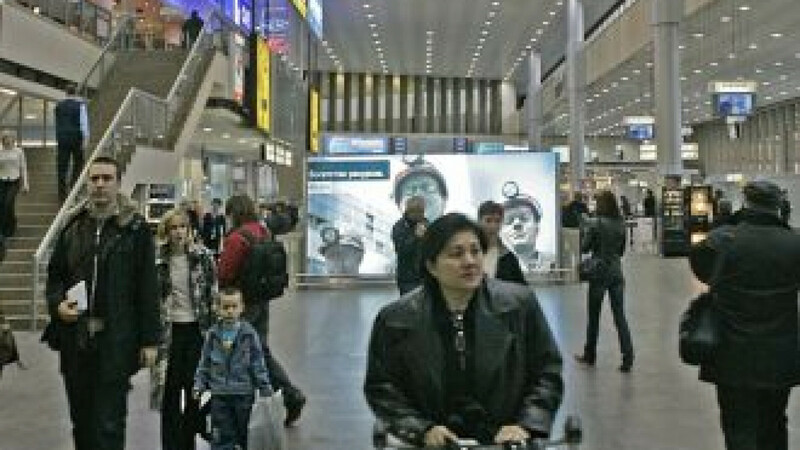 As Vladimir Putin's party prepares to dominate weekend parliamentary elections in a prelude to his planned return to the presidency in the spring, an increasing number of Russians are contemplating leaving their homeland in search of a brighter future abroad. A March presidential election victory for Putin — all but taken for granted — raises the prospect of his being in the top job for 12 years. In a May poll by the respected Levada Center, 22 percent of respondents said they wanted to move abroad for good, compared with 13 percent in April 2009. The poll among 1,600 Russian adults across the country had a margin of error of 3.4 percentage points. Emigration statistics are hard to come by because few of those who leave for lengthy periods renounce Russian citizenship, while getting foreign residency may take years. But demographer Mikhail Denisenko at the Higher School of Economics in Moscow estimates that at least half a million Russians moved abroad in 2002-09 and more are on the way in what he describes as the fifth wave of emigration since the beginning of the 20th century. "The level of frustration is higher. … It's a feeling of discomfort, an aversion to life in Russia," said Lev Gudkov, head of the Levada Center. "The prospect of another 12 years of stagnation or even a worsening of the situation is frightening them, and they are beginning to think about moving to a different country or at least providing a future for their children" abroad. Numerous recent web sites and blogs offer advice on how to emigrate. One of them, "Time to Shove Off," offers commentaries and videos exposing alleged crime and corruption among top Russian officials. "Yet another governor buys himself yet another Mercedes for 7 million rubles [$230,000]," reads one posting. "Corruption as a lifestyle," a headline says. "The news that Putin is staying has spoiled people's mood, and this talk [of emigration] started resonating more," said Anton Nossik, a popular blogger and Internet expert who holds seminars on emigration. The democratic reforms ushered in by the 1991 Soviet collapse generated hope that Russia could finally become a free and progressive nation. But Putin's 11 years in power, first as president and now as prime minister, have left many people disillusioned and gloomy about the future. While an expanding economy has boosted living standards for many, corruption has become systemic and political competition has virtually disappeared. On a more day-to-day level, many Russians complain that education and health care continue to lag far behind. The draft-based army is plagued by vicious hazing, leaving many parents fearful for their sons. Few have faith that they can count on either the police or the courts to protect them or their property. Russian emigration is by no means a new phenomenon. The 20th century alone witnessed waves of emigration, beginning with those who fled after the 1917 Bolshevik Revolution and during World War II. More than 290,000 Jews emigrated from the Soviet Union 1971 to 1988, and up to 1.6 million people left Russia in 1989-2002 as the Soviet Union disintegrated, according to demographers. Today's departures are not nearly as traumatic as during the Soviet era, when would-be emigres spent years fighting to be allowed to leave, often losing jobs and friends in the process — then bade farewell to their families forever, certain that they would never return. But the decision to leave Russia is still often painful. Many emigres leave behind elderly parents, a familiar culture and the ability to communicate in their native tongue. Fifteen years ago, a teenage Lepleiskaya branded her cousin a traitor for moving to the United States rather than staying and working to change life in Russia for the better. As an adult, along with building a successful career, she volunteered at an orphanage and collected money and clothes for those in need. In the early 2000s, she voted for Putin and his party, but as the years went by she became increasingly angered by what is happening in the country. Social inequality has worsened, corruption runs amok, opposition protests are violently dispersed and the television news often resembles Soviet propaganda. "There came a moment when I stopped caring … nothing will change substantially," Lepleiskaya said. She said the final straw was when a singer she knew spent 10 days in jail in a southern Russian city after performing a song critical of the police. She came to the conclusion that citizens have no power to hold the government accountable or push for change, either through competitive elections or street protests. "Have you seen what those protests look like? It's 50 people and 150 riot police, and these young men and women are dragged into those detention trucks," Lepleiskaya said. She realizes that Russia's emerging market provides opportunities for high profits and quick career advancement in some spheres, but she doesn't trust the government to protect her savings against inflation and economic turmoil. Her father, a college instructor for 40 years, recently retired and receives a pension equivalent to $270 per month. "I don't want to sit on top of a tinderbox. I would rather build my career slowly, step by step, work and know that eventually when I am 60 the government will not let me down," she said. She and her husband, Alexander, a 27-year-old IT specialist are set to receive their Canadian entry visas in the coming days and plan to fly to Montreal in the spring. Lepleiskaya now has to vaccinate her cat, who has the French name Xavier, sell off their belongings and begin saying goodbye to loved ones. They have never even visited Canada and know it will take a while to find jobs as interesting and well-paid as those they are leaving behind in Moscow, but they are looking to the future with hope for a better life for themselves and their children. Denisenko, the demographer, said the departure of enterprising, educated Russians bodes ill for the country. "Compensating for them will be hard," he said. "Russia would be better off if they stayed."